After hours of reporting and listening to reports at Marketing Research class, we were starved and decided to have dinner together. We went to one of the dining places at the second floor of the Archer's Nook, directly above Army Navy. 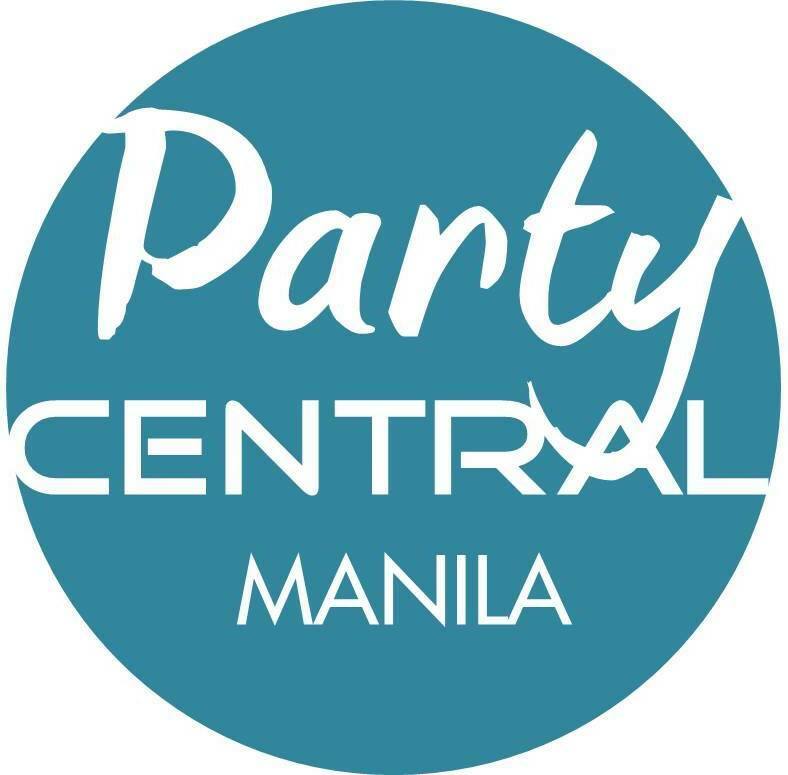 This is located in front of DLSU Manila (thus the establishment name Archers' Nook). Rap was the one who brought us to this small and homey casual dining restaurant where we can pig out with juicy burgers and indulge in deep fried snickers and mars, yes you read it right! 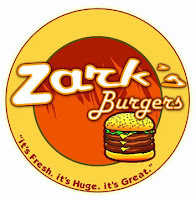 Their menu includes, of course, a variety of burgers like El Loco Baka (the one I ordered), Tap Out, Submission, Strikeout, Zark's Ultimate, Home Run, American All-Stars, Jawbreaker, Tombstone and many more. You can also have hotdogs, chips, rice, desserts. Their burgers' prices range from PHP90- 500. Most of the good burgers actually cost PHP105-PHP145 only, just add PHP20 to get a drink and fries. Not bad at all! Of course, I always look for the best-seller sign and pick from those. Upon entering the restaurant, photos of satisfied customers, mostly guys (haven't noticed a girl), are displayed above the counter. We asked how to get our photos up there, and they told us about the burger challenge. 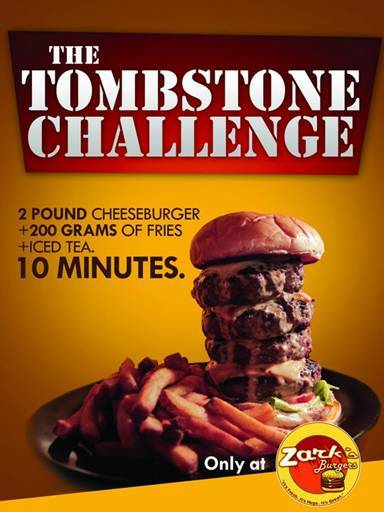 All you have to do is finish the Jawbreaker burger, which has 3 quarter-pounder burger patties, in 5 minutes; or the Tombstone burger, which has 4 quarter-pounder burger patties, in 10 minutes. No wonder where these burgers got their names. 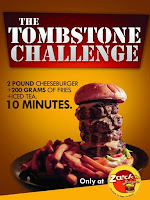 If you successfully finish the challenge on time, burger is on the house and a snapshot of you up there for everyone to marvel at your eating superpowers. 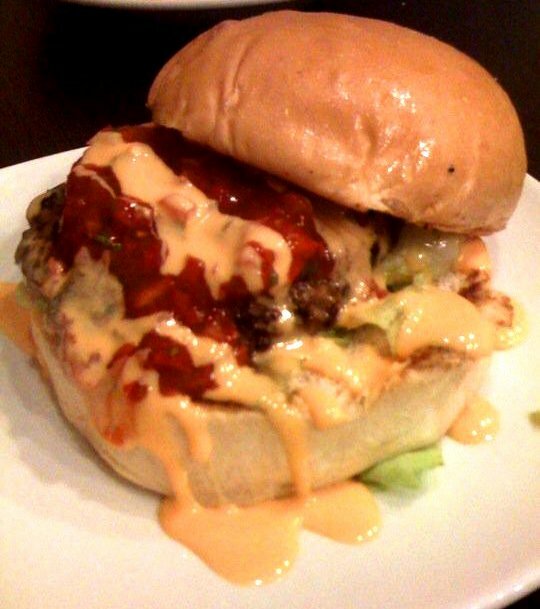 What I ordered: El Loco Baka - Zark's tex-mex burger, on a bed of lettuce, topped with home-made salsa. Hey Mon...you make the food sound great...Whats the address?